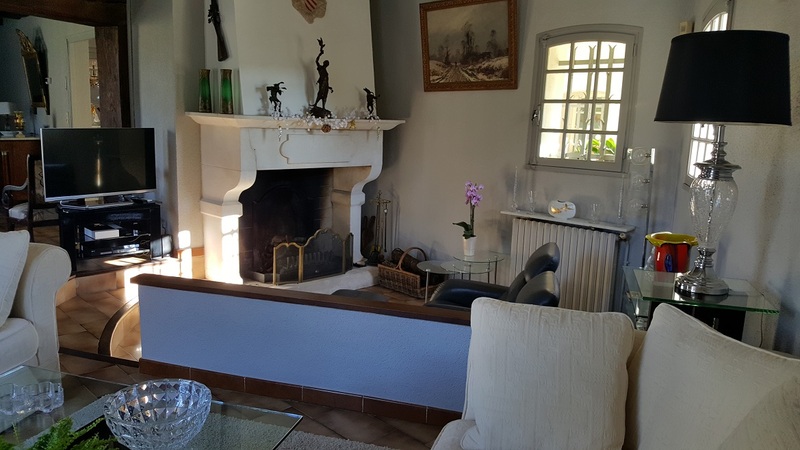 This beautiful home is situated in the heart of a village with amenities 20 minutes from Béziers, 20 minutes from Pézenas and 30 minutes from the sea. 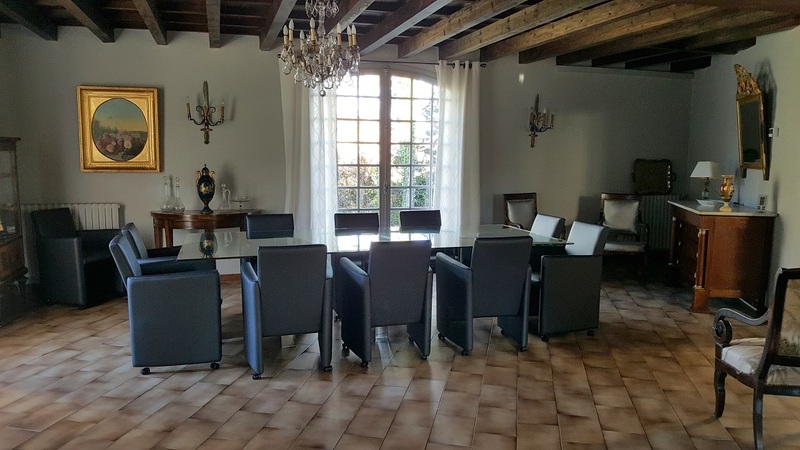 The property is part of an old stone-built wine domain (a former outbuilding of the castle of the village). 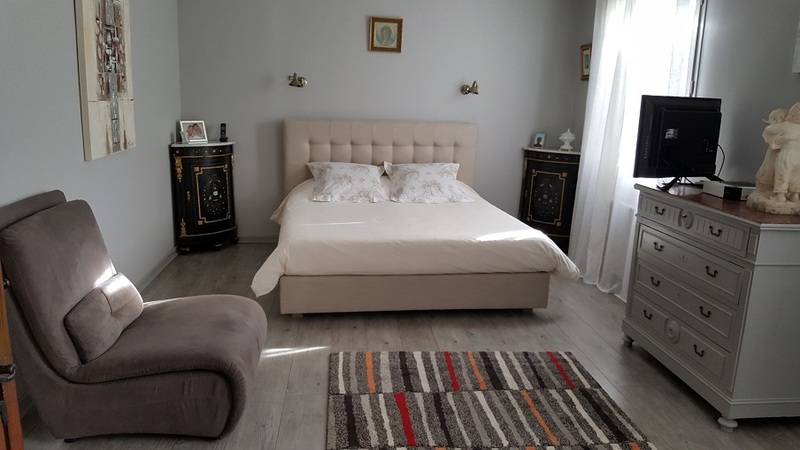 It includes a 280 m² house with 4 bedrooms and 2 bathrooms, a large garden with a pool, a garage and tables. 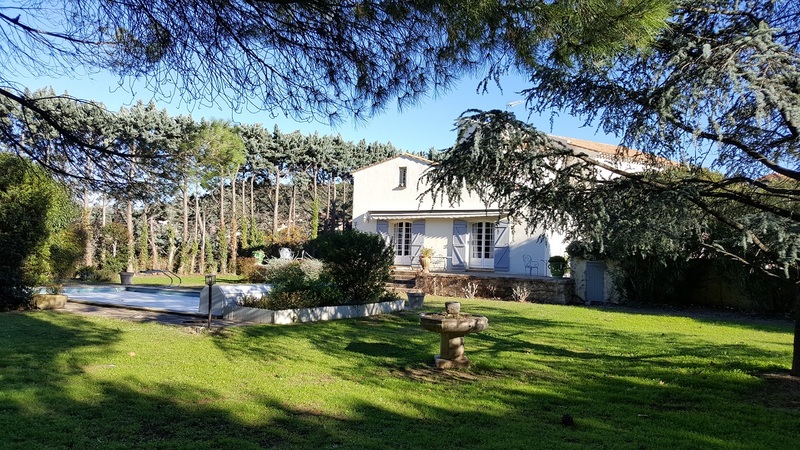 It would be possible to purchase another 2000m2 of land. The property is not overseen. The house is arranged over 2 levels. 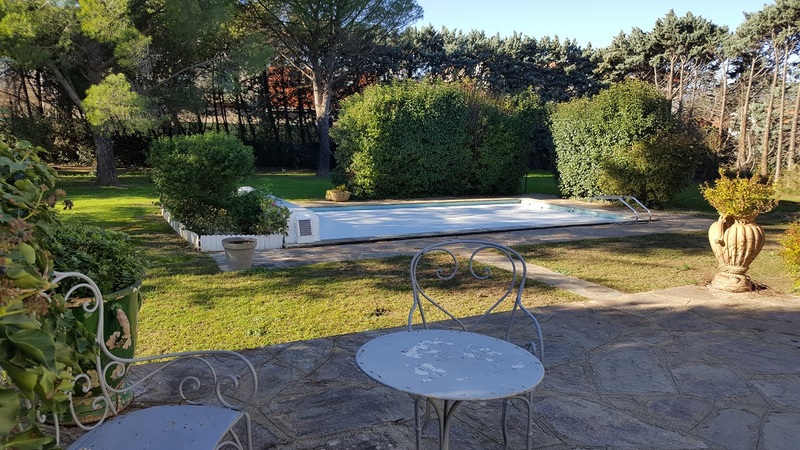 The ground floor is composed of an entrance hall, a large lounge/dining room with a fireplace and access to the terrace/pool, an equipped kitchen with access to the terrace, a utility room and a study. 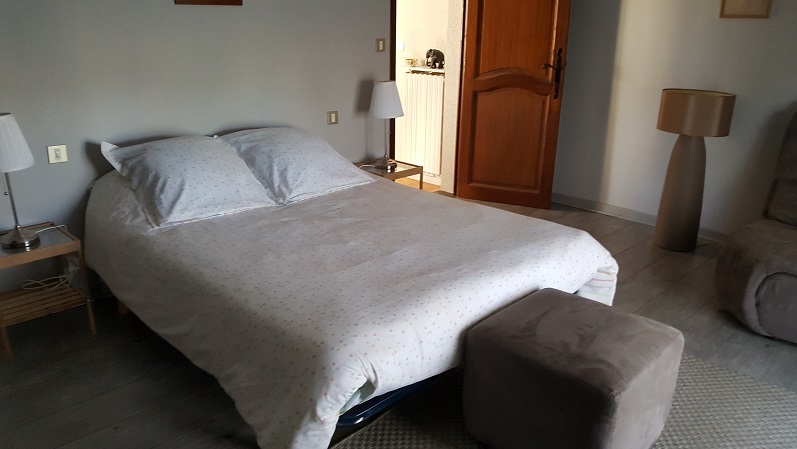 On the 1st floor there are 4 bedroooms: an ensuite bedroom, a family suite including 2 bedrooms and a washroom, and a separate 14m2 bedroom. 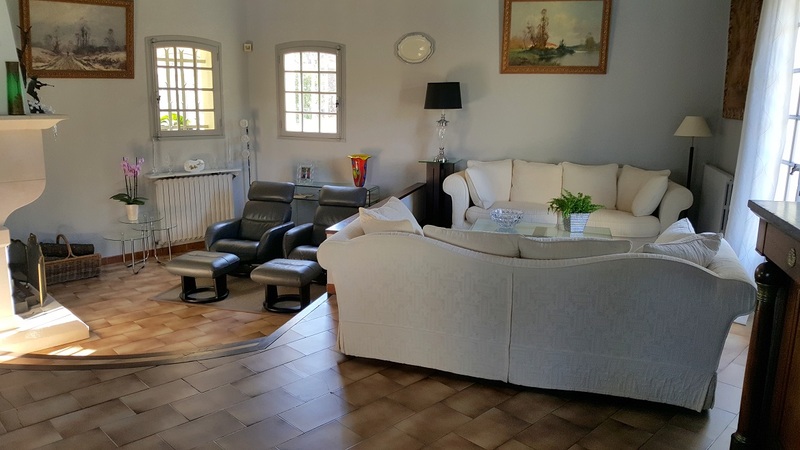 The property includes a garage with a shower and washbasin. 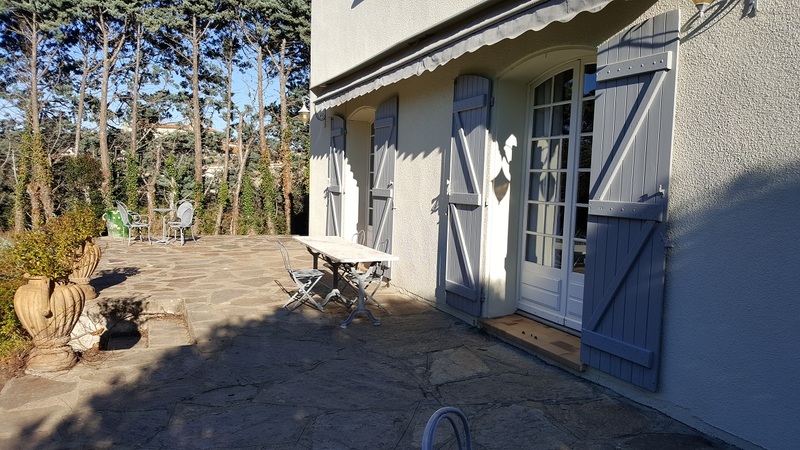 It also has stables of 72 m2 on 2 levels. These could be renovated (tiles on roof need changing) or converted. 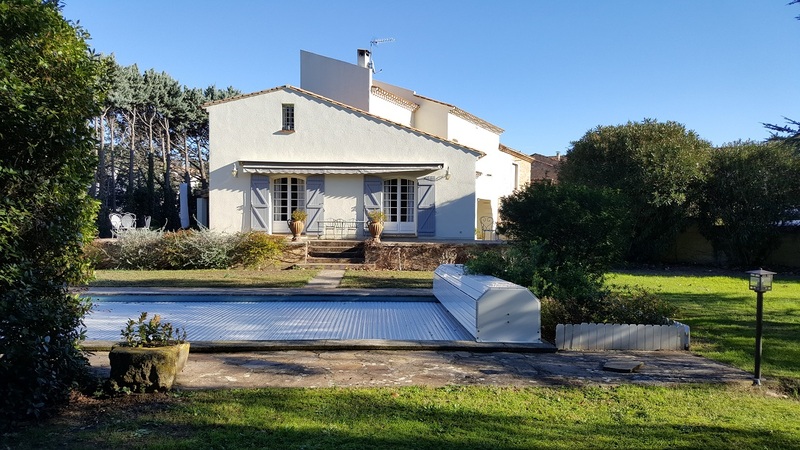 The property includes a large mature garden of about 3000 m² (south-west) with pool (10x5m, solar rolling protecting cover, chlorine) and a front courtyard of 200 m². 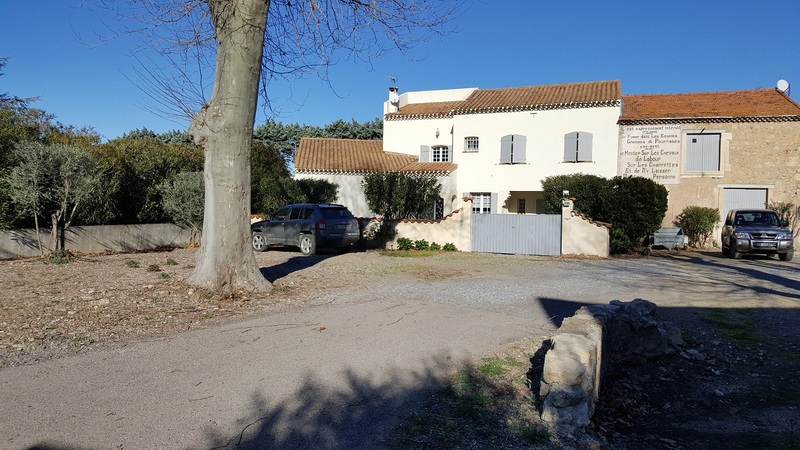 It would be possible to purchase 2000m2 of extra land. 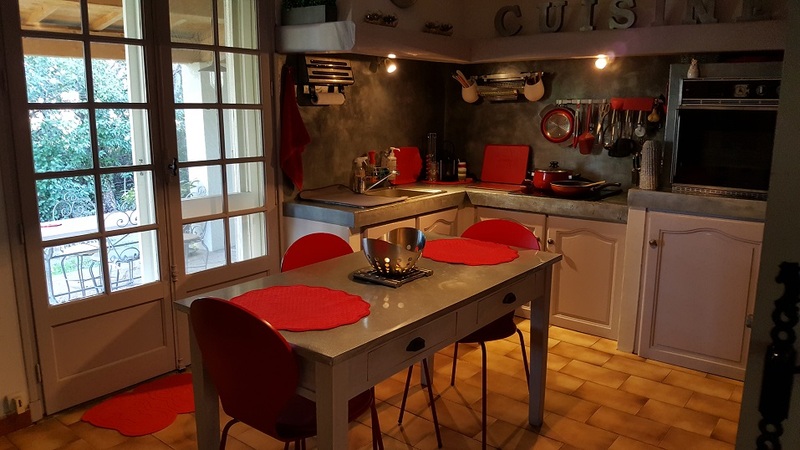 The property is situated in a village with all shops, schools, café and restaurants in a quiet location 20 minutes from Béziers, 25 minutes from the motorway and 35 minutes from the sea. The area is planted with vineyards and dotted with many pretty villages. It’s an ideal location for a holiday home or a place to live all year round.